Why deal with MMI Armoured Cars? It goes without saying that any company website’s ‘About’ page or anything similar is going to be filled with platitudes, promises and propaganda. You will probably find a mission statement which we are pretty sure are stolen templates from Google, or even nauseatingly worse, an insight into their core values. While you may find things on our site which may appear vaguely similar, simply put, what we say is what we actually do. In summary, we are not telling you about what we hope to do, might do or what we think you may want to hear but instead what we have done and continue to do every day. In a world filled with fake news, distrust, uncertainty and ambiguity- wouldn’t it to be refreshing to deal with people who are real and to the point? We don’t mean for this to be a rant about why we are so wonderful, but we would like to put the facts out there for you to make up your own mind, and then perhaps understand why we are the leaders in this segment in South Africa. We have a track record in selling armoured cars that goes back to 2007. 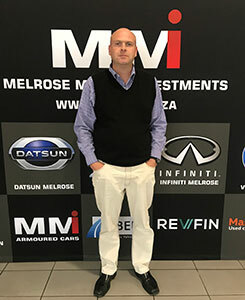 Melrose Nissan (founding dealer in the MMI group) has always offered exotic and premium vehicles for sale, and this included factory armoured vehicles from various manufacturers that were used by the management team and their families. In effect you could call us ‘true believers’ then. 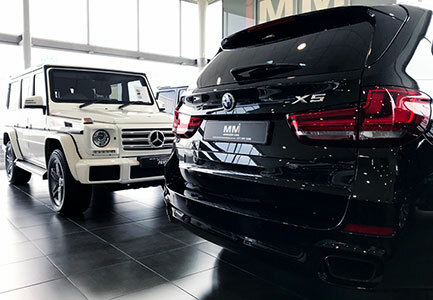 That means that we have unrivalled experience and knowledge of the market where many of our clients have purchased, and traded, several of their armoured vehicles over the years. What this means for you is that we are in this for the long haul and remain committed to keeping our clients protected for years to come. That also protects resale values down the road which is an important factor to consider when purchasing a niche vehicle. Because of our experience in the top end of the car market, we are well versed in dealing with clients of distinction and stature. That in broader terms means that just like you we don’t have time for BS, we understand the value of complete discretion and we work efficiently and decisively. We have over the last two years witnessed more dealers and organizations jumping into the armoured car sales game, discover it’s not as easy as they thought, and jump out again just as quickly. Then what of their poor clients who want to upgrade or change down the line and said organization has zero interest in serving the protection needs of that client again? That’s before we have even started comparing the quality of our vehicles that we are not negotiable on (see more on this in a related article) or their lack of experience with these vehicles. Lack of experience when you are dealing with the safety of your clients is a scary thought…. We take great pride in that we have positioned ourselves as the premium option where quality and service are a given, not a selling point. As an example, for servicing and repair requirements we have an armoured courtesy vehicle on standby at all times. As another, we have over the years developed a servicing partner network that understand the need for quick turnaround times, discretion and the required care an armoured car necessitates. Like most things, you might only appreciate the value of how important that is when it isn’t there. When we say we can finance these vehicles, it’s not because we might try and hope, but because we are doing it every week and we know how. We know how to insure them, repair them, care for them and ultimately care for you. We are also transparent which has become quite rare of late. Our prices are published, our cars physically exist, can be viewed on a showroom at any time and we are approachable and accessible at all times. We don’t hide who does our armouring or why we have an exclusive agreement with them, and we don’t mind dealing with each other’s own clients directly either. In other words, no smoke and mirrors... We have a quality product backed by an unrivalled service that does what it says on the tin. Justifiably some details of our vehicles or dealing with us are not for the public eye as they are proprietary or crucial in keeping you safe, and these details are reserved for private interactions with our clients. We hope that soon that title may be yours, and we can enable you to drive without fear.